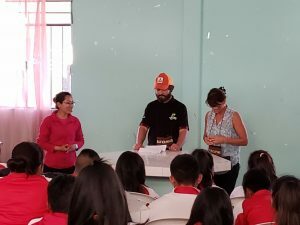 We started off the day at the Food for the Hungry (FH) office in Sucre. 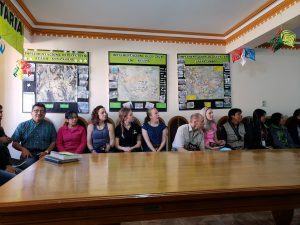 There we met FH staff from all 7 districts where FH is working in Sucre. It was neat to see the maps of the different districts and learn about how FH is developing centers to help those in need in this city. From there, our team split up and went to talk to high school students. We had the task of talking to them about self esteem, mental health, and teen pregnancy. 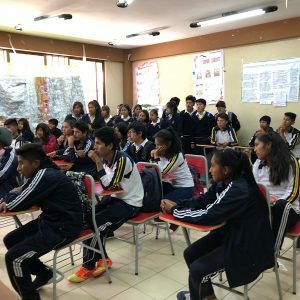 In one of the classes they asked how to become saved. There were some uplifting and tense moments as some teens are already dealing with pregnancy. In the afternoon, we spoke with a rural community in Lajastambo about the savings and loan group they had established with the help of FH. It was mutually beneficial for both our team and the women who run the “bank”. Good fellowship was had by all. 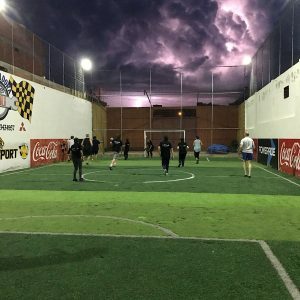 Rumors swirled the entire day about a soccer game with the FH staff. This culminated in a heated match at the local facility. We represented the U.S. and Blackhawk well and ending up losing by a tight margins of 4-6. This entry was posted in 2018 by ffriend. Bookmark the permalink. We’re so enjoying the blog posts about your amazing trip! 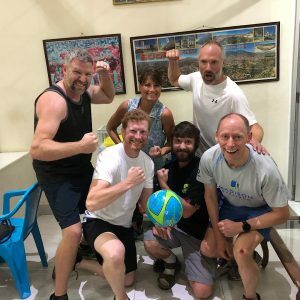 Looks and sounds like such a fun and meaningful connection is forming between the people of Lajastambo and your team. Our family is praying for you everyday! Thanks for all the posts! I love hearing and praying for you all. I’m sure they enjoyed the visit by the team. Who often don’t control much money from their hubs. And helped them feel a part of God’s great glories. Of soccer (football) where victory couldn’t be snatched. Maybe you can win on the wally-ball court? Thanks for sharing, Alex! So thankful to have you on this team! You each have such unique gifts to offer, and I’m sure you all are learning so much from FH staff and Lajastambo community members! 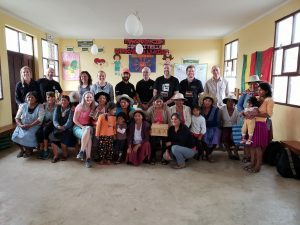 It has been so great to catch these glimpses into the team’s time in Bolivia. Praying for you all, and can’t wait to hear about the rest of the week! Woohoo! Love the stories coming from your team. Continuing to pray for what God is doing in and though you all! I added some new pics to this post! Looking forward to you coming back safely @ sharing w/ us at Thanksgiiving!🙏🏼 Love you & the work you did there – blessings Laura !